The Andaz Napa is a 141-room boutique hotel located in the heart of downtown Napa. 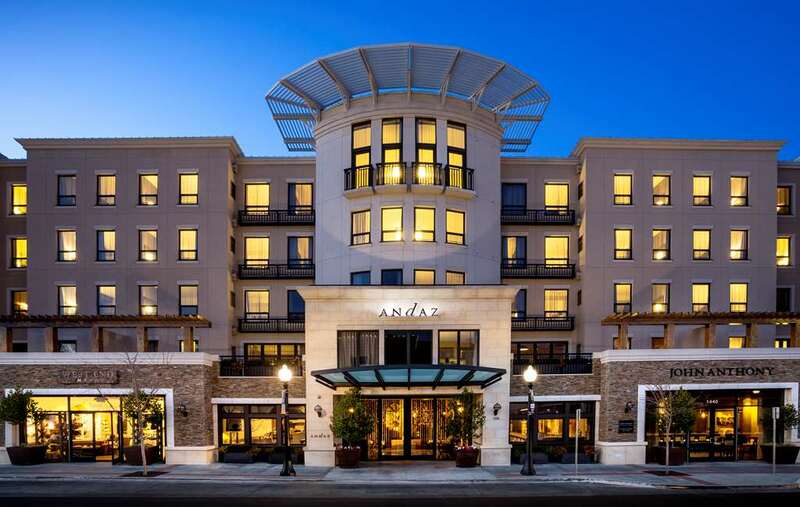 Centrally located in the revitalized "West End" the Andaz Napa provides an excellent downtown Napa hotel location to explore and discover all this fabulous region has to offer. The Andaz Napa is conveniently located just minutes from gourmet dining options, galleries, shopping and 19 local tasting rooms featuring some of the finest wines in California. Enjoy Craft cocktails or fine wines at our Mercantile Social, or enjoy the farm-to-table ingredients in the delectable entrees at our restaurant, Andaz Farmers Table. Mercantile Social: Sip regionally inspired craft cocktails or some of the finest wines and craft beers of the area. Located in the revitalized "West End" of downtown Napa and steps from gourmet dining, over 19 wine tasting rooms and the best nightlife in the Valley.